It’s the shortest day of the year! In southern Wisconsin, the day was gray and frosty. 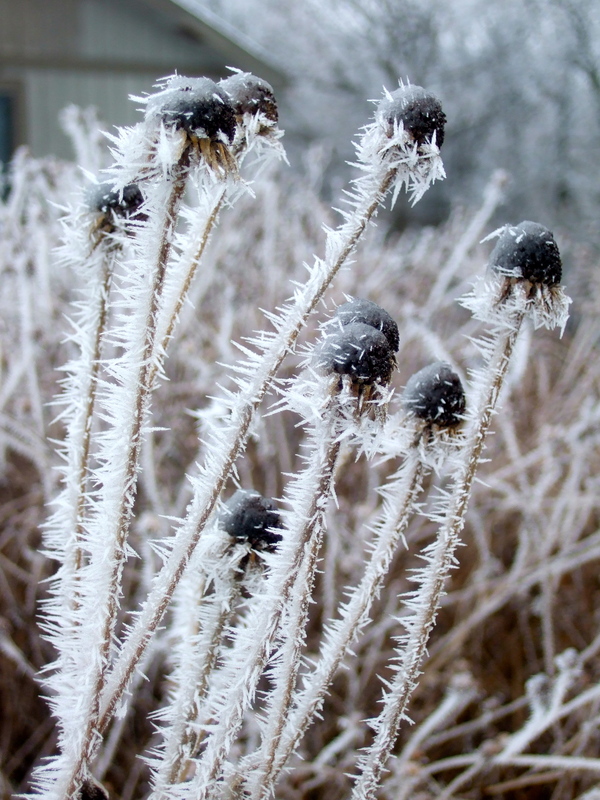 Hoarfrost on spent coneflowers in our yard. Centuries ago, our ancestors built bonfires on the darkest day of winter. 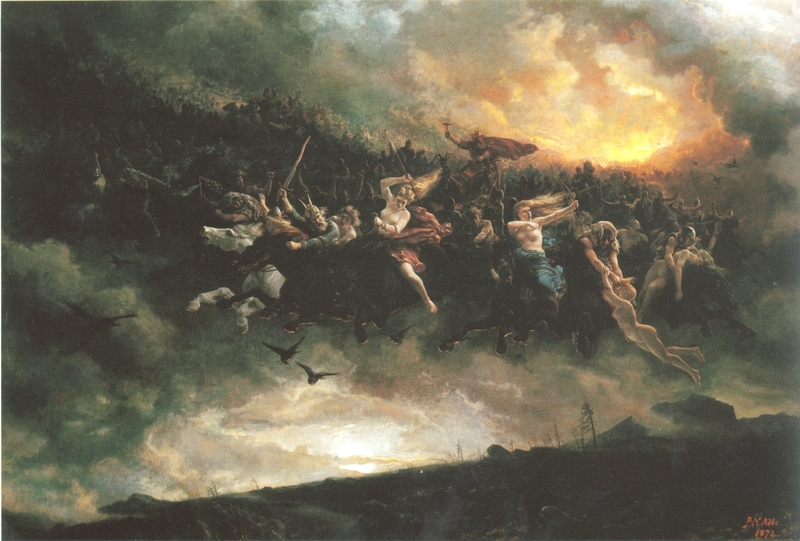 Many Europeans feared the evil spirits that roamed winter skies. I thought a lot about that ancient belief and similar folktales while writing Heritage of Darkness. In isolated rural areas, peasants may have carried a goat head to ward away evil. Servants and employers spread straw on the floor and huddled together for protection. 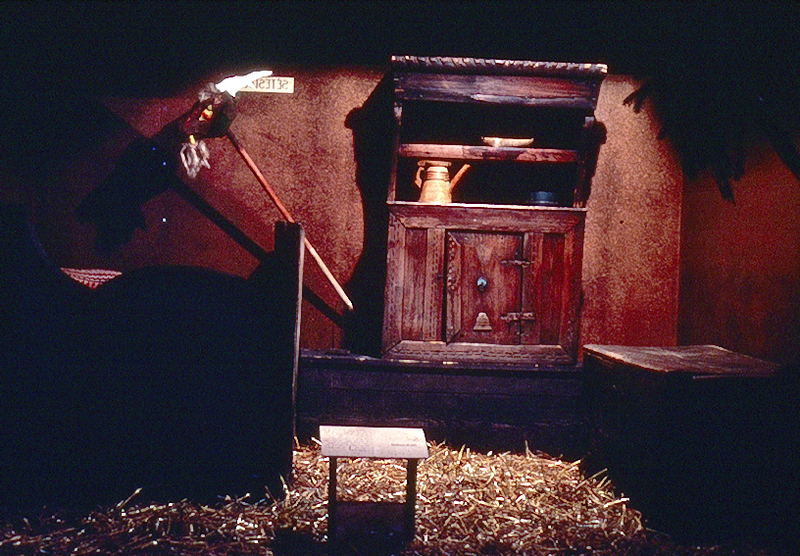 Photograph of a former exhibit courtesy of Vesterheim Norwegian-American Museum. Such traditions made great fodder for a mystery novel! But in real life, the winter solstice is one of my favorite days. I love to think about the earth’s cycles. I love to pause and remember that we all have the power to bring a bit of light to the world. 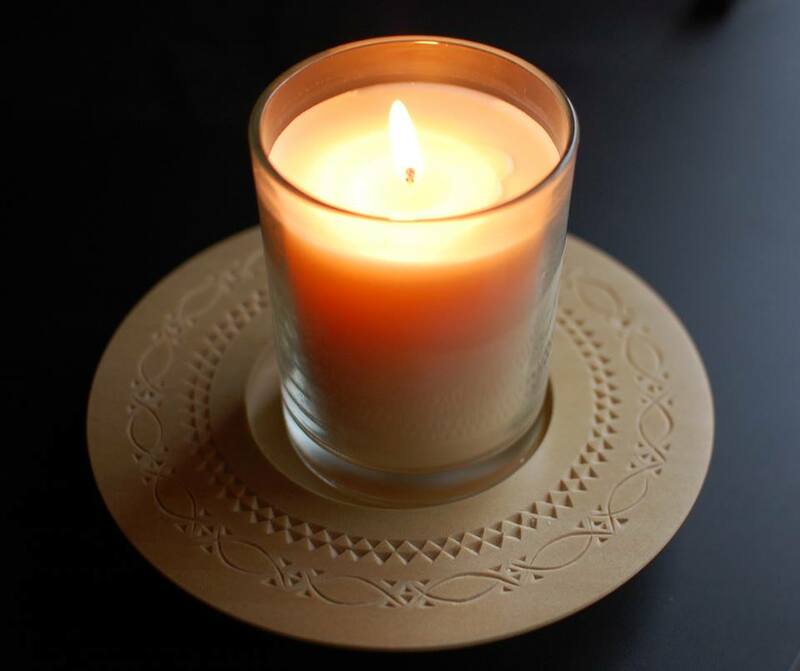 This chip carved candle plate was made by my friend Ellen. Without these coldest and darkest days, the holiday candles’ glow wouldn’t be so welcome, so cozy, so full of warm and promise. May your days—and nights—be merry and bright this season! 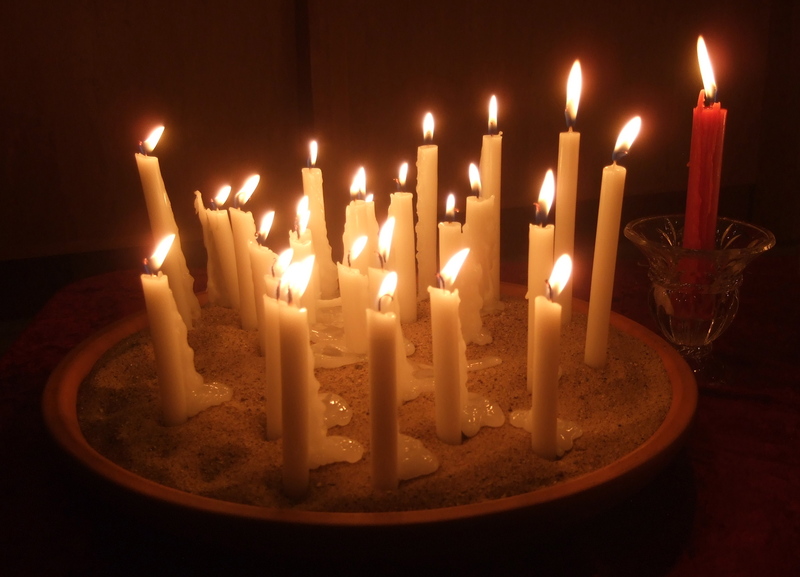 Solstice candles at the First Unitarian Society, Madison, WI.